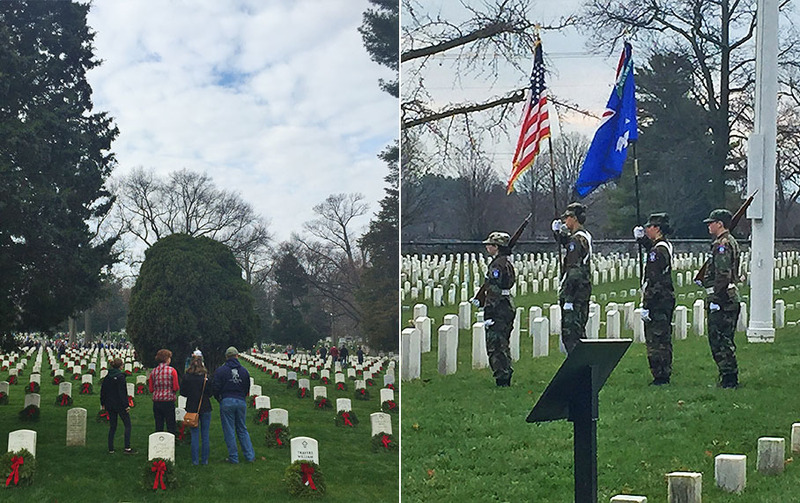 On Saturday, December 12, team members from the Dulles and Winchester offices had the privilege and honor to voluntarily take part in Wreaths Across America. Since 2007, every December, the organization places wreaths on graves at Arlington National Cemetery and other veteran cemeteries across the United States. Wreaths Across America now has over 900 participating locations focused on their mission: Remember, Honor, and Teach. This year, team members and their families from the Dulles office were invited to participate in the event at Arlington National Cemetery, where over 200,000 wreaths were laid. Likewise, members from the Winchester office and their families were invited to participate at Winchester National Cemetery where 500 wreaths were laid. Alpha Corporation also supported this cause through the Multiple Remembrance Sponsorship which went towards the purchase of wreaths.